Please select a size. UK 3 - In StockUK 4 - Low StockUK 5 - Low StockUK 6 - Low Stock Please select a size. 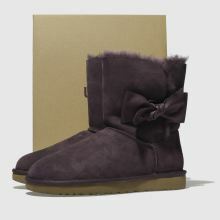 This iconic UGG boot gets a sweet, feminine upgrade to pair with flowing dresses and more in the new season. 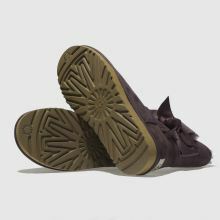 The Daelynn is crafted with a purple plum suede upper and features a soft leather bow on the sidewall while a sheepskin lining completes.